A lake house seems to be the ideal option to welcome our next summer holiday. 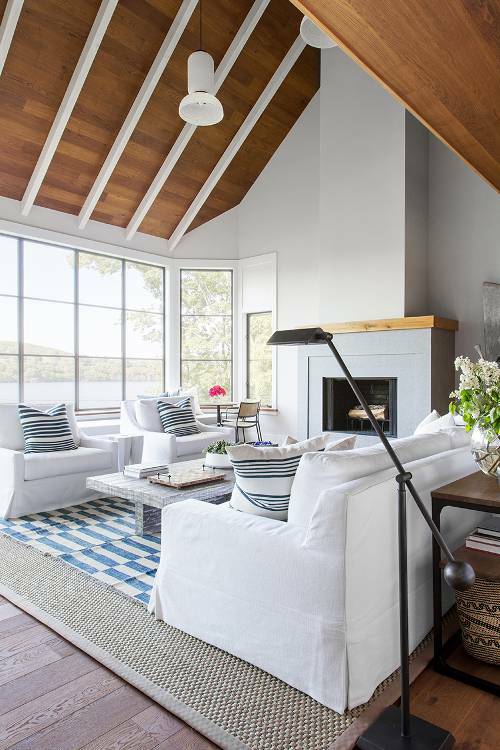 To inspire you what things need to upgrade for the season, we’re gonna take you to get a fun tour house today, and a cozy lake house in Connecticut designed by Susana Simonpietri is the chosen one to show up. 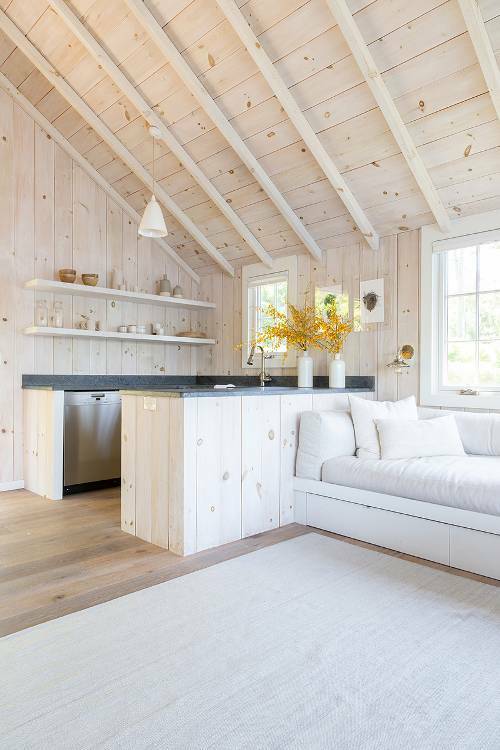 With timeless, clean lines, and modern look, the house tends to be the coziest place for the family to spend their summer weekends. 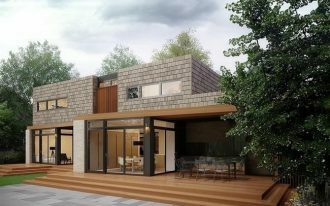 Well, to get to know more details of each room, let’s start taking this tour and just prepare to get inspired and even to adopt soon all ideas existing in this lovely house. 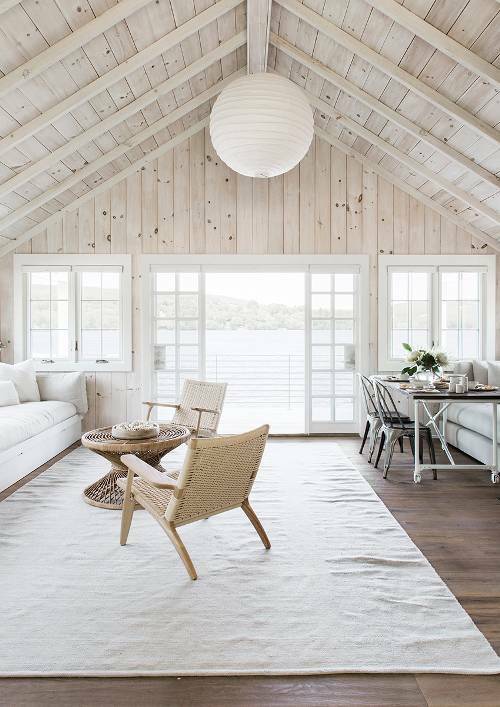 As the designer’s wish, the living room tends to be neutral and it’s shown by its color, especially the entire facade dominated by light wood finish. To balance the existing interior facade, Simonpietri uses soft white that’s visually support the bright and airy atmosphere. 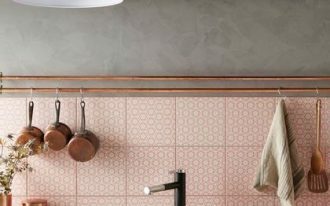 Wall-mounted shelving units still be the most recommended solution for such an open space kitchen. The main reason is to keep allowing extra space remains. 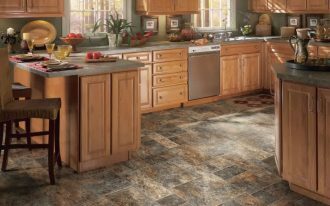 The counters are made side by side with a central space for mobility. This idea, of course, offers you easiest & most practical space when you’re getting busy for dining/ breakfast prep. 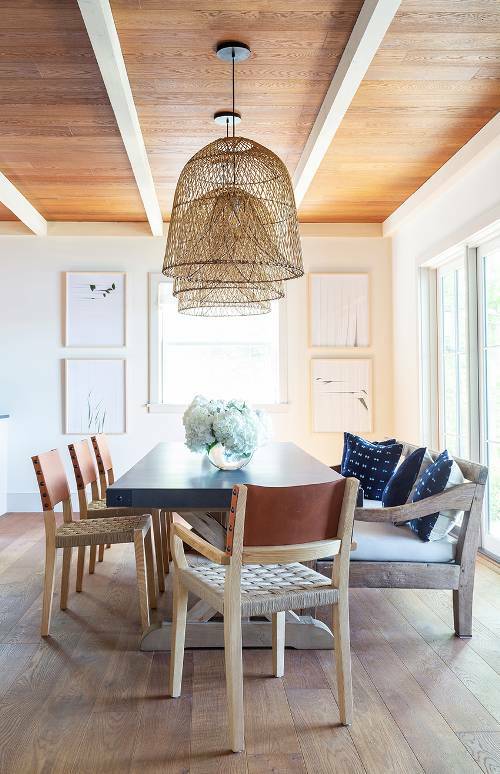 As one of most favorite spots, the designer furnishes the space with a leather banquette that works well with the leather-back dining chairs and deep blue table. And the pendants look so gorgeous and have been the room statements. 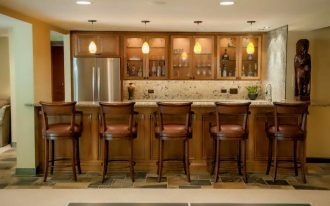 The counter stools perfectly give modern rustic appeal. The stools by The Natura provides comfy seats with strong & durable wood structure frame. On both seat and back rests, they have pleasing elastic woven leather pads that surely offer comfort to sit on. The same color schemes let to continue into the living room where you’ll find a modern fireplace and a cluster of sofas. 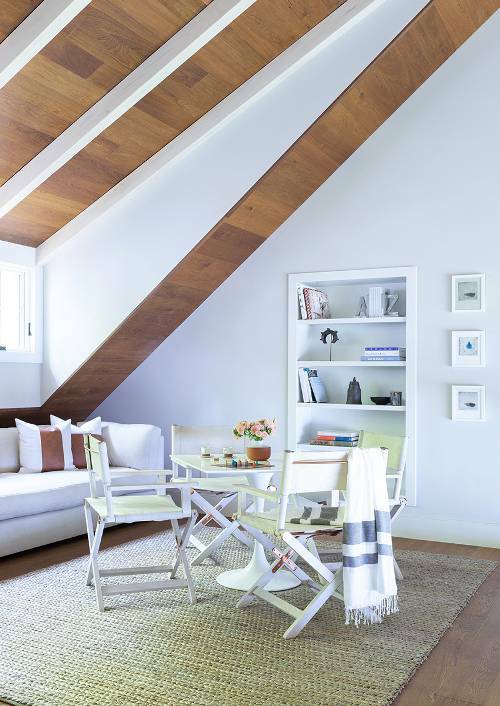 White still works as large as possible, making the space feels bright and airy. 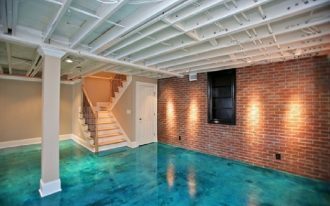 The blue shade is involved to tie into fresh water scheme, so the room looks owning a bit oceanic appeal. 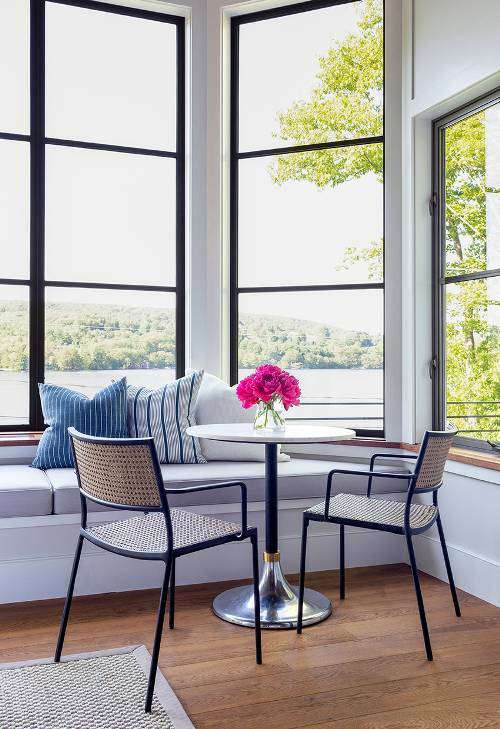 Maximizing the view-gazing spot with providing such a cozy seat area is a brilliant idea. It’s better to install wide glass windows exactly on the front of that spot, and just let the natural light in. 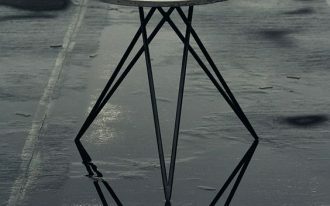 That would be nicest experience when enjoying the coffee evenings in this corner with the lovely ones. What a perfect bedroom! Airy feel and cozy, furnished with earthy-wood tone pieces like this banquette and bedside table. White-wood collaboration means warm yet clean look, an ideal option for long nap on long summer holidays. Look at the ceilings. 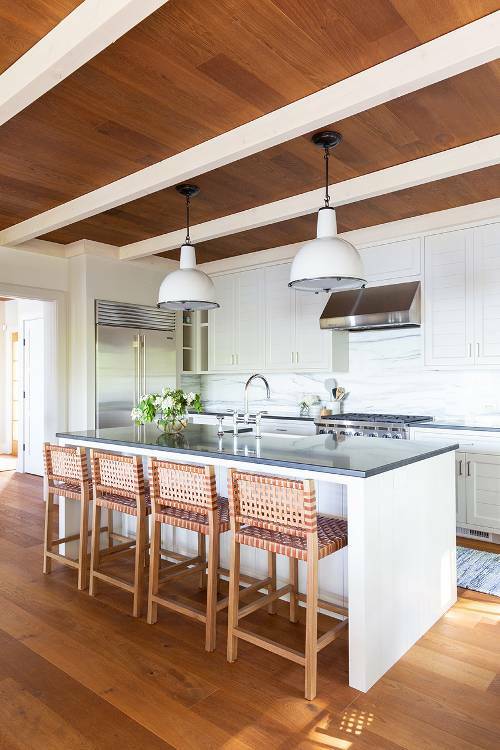 You just need a little do-styling when you have such a simple wood ceiling panel. 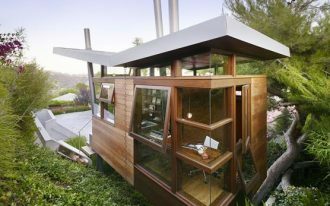 We’re really sure that you would be cozier to work or just to read your favorite books when you have such a comfy home office. Be ready to grab your creative ideas fast. End up the neutral schemes when the kids’ rooms begin. 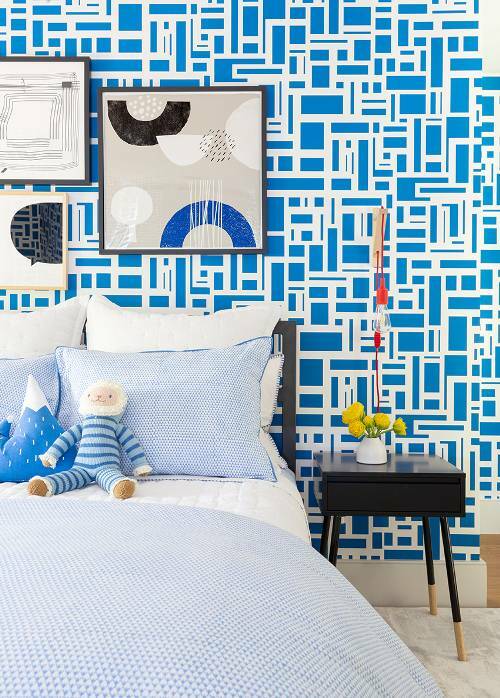 Inspired by the kids’ favorite colors, the designer tries to apply striking blue for the wallpaper, and she uses modern pattern with white accent for most current trend goal. The designer never doubts to clash color and pattern variations to one space of kid’s room. It’s playful and so fun, she said. Yet, she keeps applying a neutral theme for the eldest, but she infuse a little sparks of colors and patterns to kiddify the room. 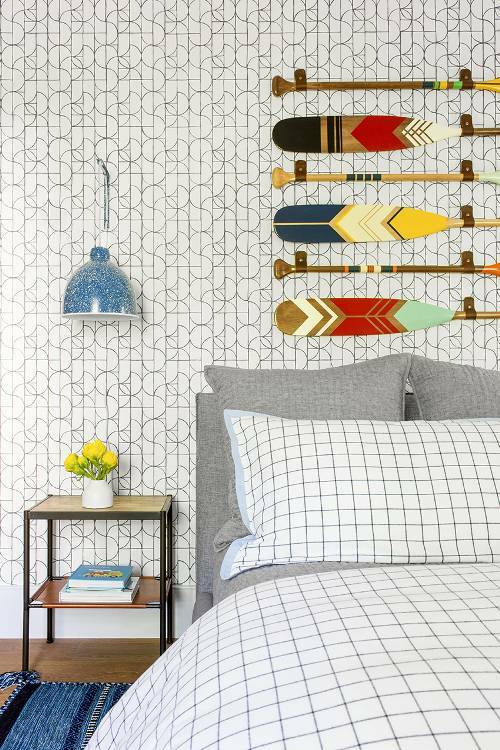 These decorative paddles, for instance, are considered to put for a fun and a reminder where the home location is. Very creative!